13thAnnual Armenian History Timeline Quiz Bowl was held at Ararat Home in Mission Hills on Sunday April 29, 2012 with the participation of eight graders from the following Armenian schools. Rose and Alex Pilibos School, Vahan and Anoush Chamlian School, Holy Martyrs Ferrahian School, Merdinian Evangelical School, Sahag Mesrob Christian School, AGBU Manoogian-Demirjian School, Sisters Academy, and St. Gregory (Hovsepian) School. A lively contest developed, revealing the depth of the knowledge of the students, the thorough preparation provided by their teachers, and the absorbed attentiveness of the audience. In a two hour competition, the students answered a series of questions on Armenian history and culture. They demonstrated a familiarity with material spanning three millennia and ranging over topics as varied as history, geography, literature, science, the arts, and religion. 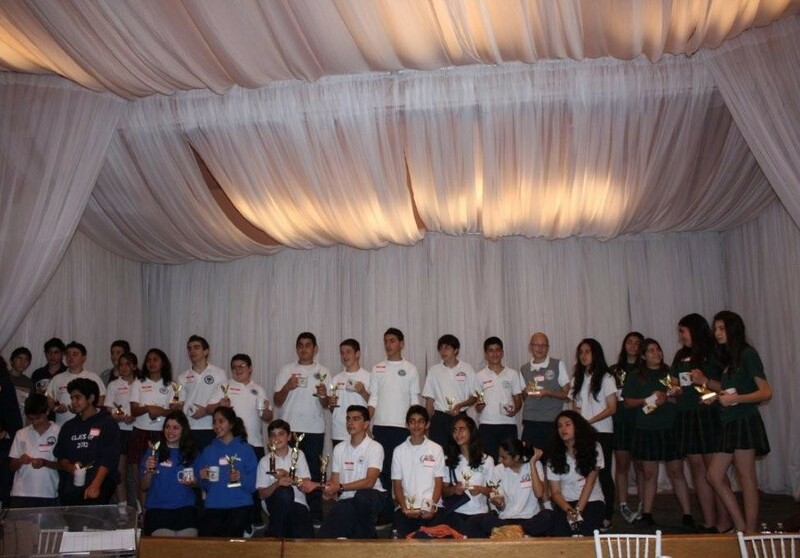 The winning team earned 105 points, out of a possible 113 points, the second and third place were separated by few points. When all the questionings had concluded, checks for their scholarship funds, provided by the generous support of the Board of Trustees of the Ararat Home, were presented to the participating schools by the vice Chairperson Mr. Harold Mgrublian. First place award was a check for $1000.00 to Rose and Alex Pilibos Armenian School. The second place award of $750.00 went to Holy Martyrs Ferrahian Armenian School. Third place award of $500 went to St. Gregory Armenian School. Each of the other participating schools received a check for $250.00. All participating schools received trophies and certificates. In addition, they took home a mug especially designed for the Quiz Bowl. An event of this type requires the assistance of many volunteers. The many enthusiastic spectators followed the proceedings with great concentration and cheered on the participants. The competition, organized by Ararat Home, consisted of questions taken from Hagop and Marilyn Arshagouni Armenian History Time Line, with graphics by the late Herach Hovsepian.